Maps are a great resource for genealogists. Many high quality historic maps are available online at the The Library of Congress website, the David Rumsey Collection website and the North Carolina Maps project of the University of North Carolina. 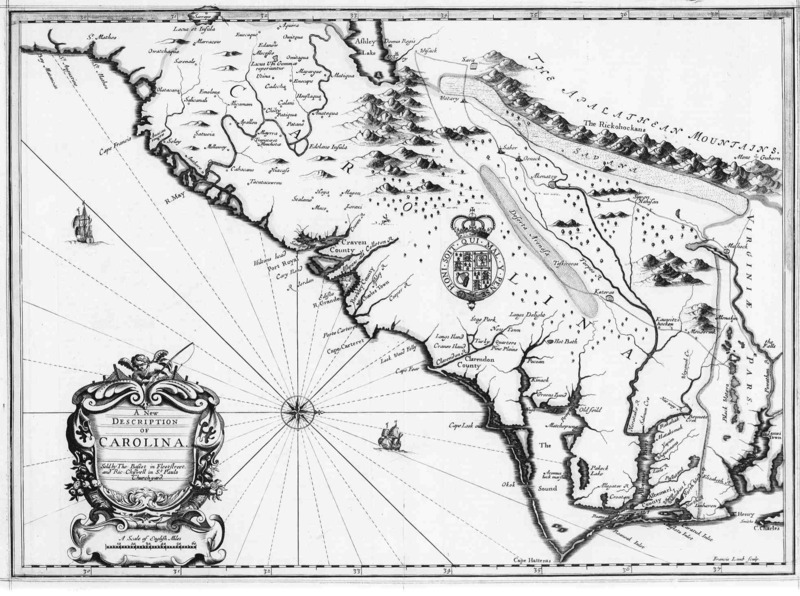 Some links to the best historic maps I've found of the Carolinas and Virginia are listed below. Topographical maps can also be very helpful. The "Terrain" feature on Google maps is one of the easiest ways to visualize the creeks, rivers and mountains where our ancestors lived. For an actual topo map, use the USGS Geographic Names Information System to find the feature you are looking for, such as a town, stream, or mountain. When you get to the page that shows "Mapping Options," select "GNIS in Google Map". The Google map loads quickly and lets you switch between road maps, topo maps, and satellite images. All of the following links will open in a new window. North Carolina, 1895 - Rand McNally Corp.
Virginia, 1895 - Rand McNally Corp.